Our readers keep coming up with new photographs of the Beatles with records. 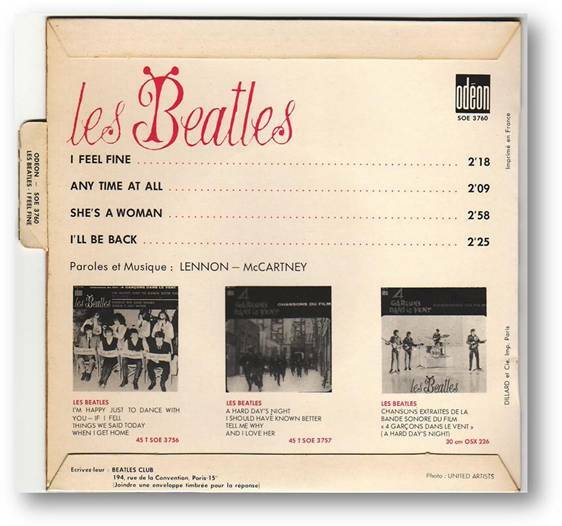 Many of the French EPs have that distinctive large B in the name of group, and the red cursive writing (les Beatles) that you can just see in the photograph. The text and other photos on the rear of the cover seem to fit this particular record. 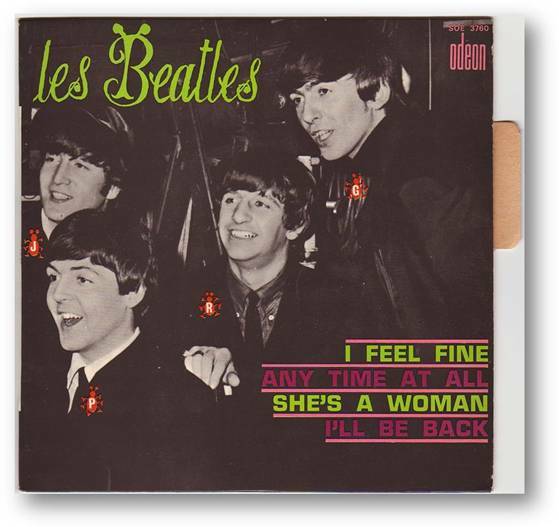 You can see the other parts in “The Beatles with Records” series here: Parts 1, 2, 3, 4, 5, 6, 7, 8, 9, 10, 12, 13, 14, 15, 16 and 17. 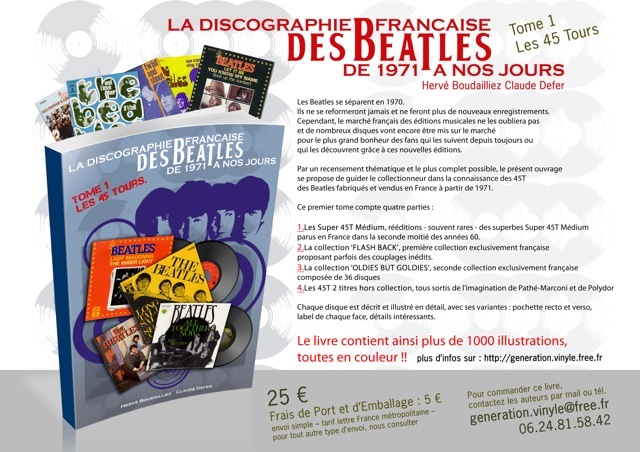 This entry was posted in Beatles, Beatles Collecting, Beatles Music and tagged Beatles, Beatles Collecting, Beatles With Records, french eps, Music by beatlesblogger. Bookmark the permalink. Crazy Cole, the Beatles song “Any Time At All” was on the UK release of “A Hard Days Night”, “Something New”, and the compilation album, “Rock ‘n’ Roll Music”. 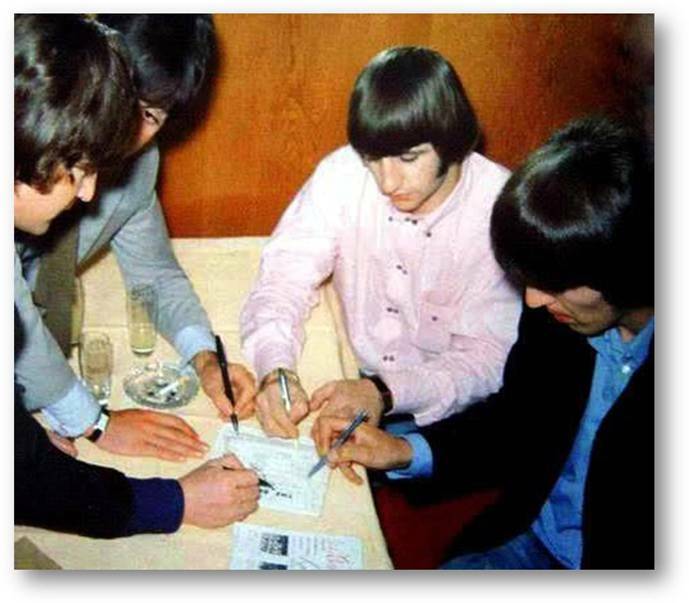 Why is Ringo signing with his right hand? Thought he was a lefty?